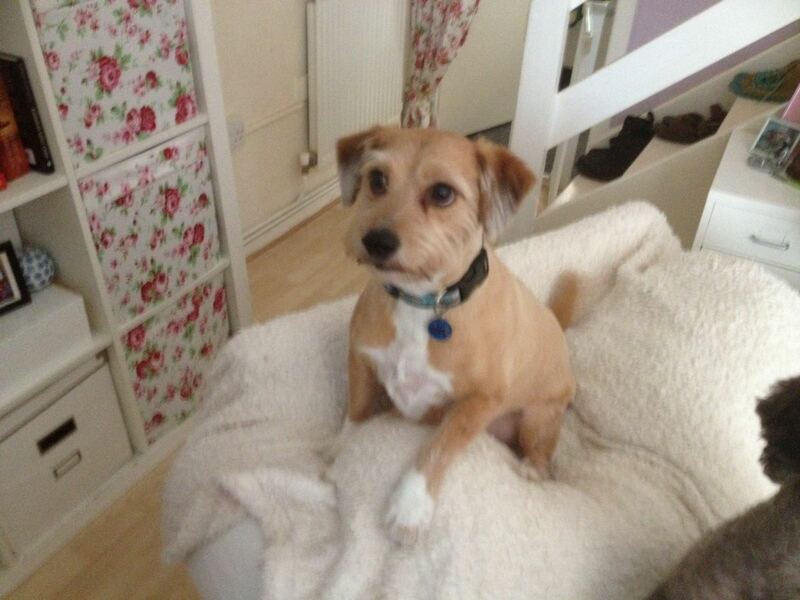 Monty is a gorgeous little chap, he is very loving and active and walks well on and off lead. He would happily live with other small dogs, although he would probably enjoy being an only dog and having all the attention to himself too. He adores a garden to run around in, and adores being out and about (which will help him shift the extra couple of kilos he is currently carrying). Monty is a well rounded dog with excellent manners and has been very well cared for, he is clean and quiet in the house, and is fine to be left for a few hours alone after exercise. Monty loves people but is very unsure about small children so we would like to home him where there are no young children, but he would suit an older family environment or as a companion for a retired person or couple. Monty is a 10 years young and fully fit, he is neutered, vaccinated, microchipped, flea and worm treated, and is being fostered in Dover, Kent.